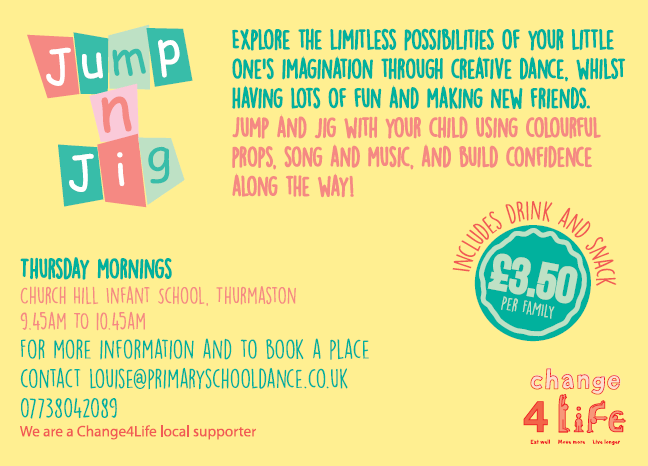 Explore the limitless possibilities of your little one’s imagination through creative dance, whilst having lots of fun and making friends. All through colourful props, music and song. 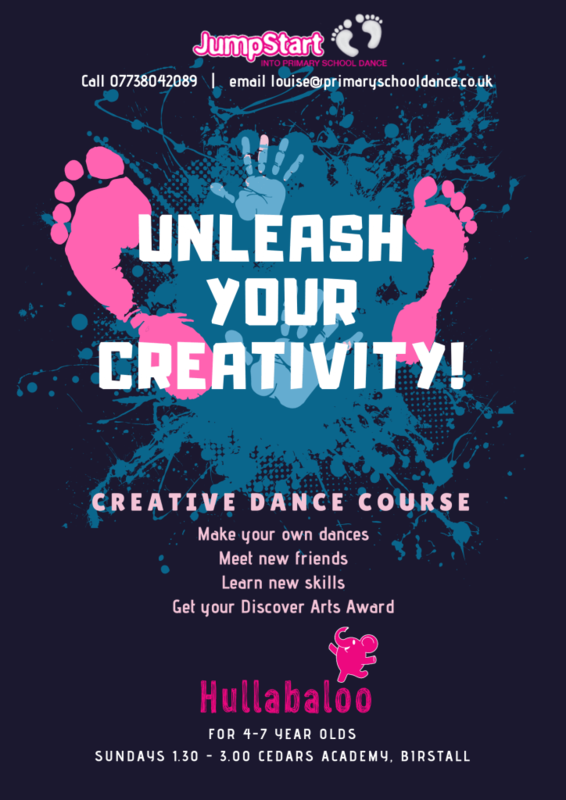 Hullbaloo’s new Creative Dance Course is a short series of workshops for children aged 4-7 years old. – Choreography skills – create your own dances! – Sense of well-being – dance is a proven way to get fit, feel good about yourself, lessen anxiety and most importantly HAVE FUN! Plus we will put on a FREE performance in the Palmer-Tomkinson Theatre at Cedars Academy on Sunday 25th November – all family and friends welcome! Our Hullabaloo Course might sound like hard work, but it’s not! Our clever dance artists will weave their JumpStart magic to ensure that all the underpinning knowledge will be delivered in a fun, child friendly way. Kids won’t know they’re learning! Children will go on a creative journeys based on an exciting themes such as pirates, the circus and under the sea. The sessions are designed to enrich children’s natural curiosity and love for movement in a nurturing and non-competitive environment. If you enjoy these workshops, dance courses or family events, why not follow us on Facebook or sign up to our newsletter and get new content direct to your email. The safety of your child is of utmost importance to us at JumpStart Dance. Please complete the information below so we can ensure we can provide the best care possible for them during their dance event. Register your child for one of the Jumpstart workshops. Simple complete this form and register your child for a workshop. Once you have completed and sent the details we will be in touch to complete your registration and payment.